More local governments in California are fighting back against the state’s efforts to ‘resist’ the Trump administration’s illegal immigration crackdown, and political experts see politics at play as voters get fired up in a state where conservative leadership has grown weak. Illegal immigration has been a hot topic across the country since President Donald Trump campaigned in 2016 on promises of tougher enforcement and a wall on the U.S.-Mexico border. It has been a lightning rod issue in California far longer. The state passed a measure backed by Republican Gov. Pete Wilson in the 1990s to deny public health care and education to illegal immigrants. It was later overturned but left a lingering resentment among the state’s growing Hispanic population. 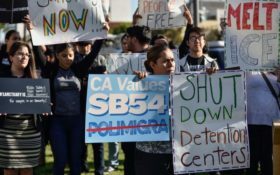 In recent years, California Republicans have taken a less strident approach to illegal immigration in a state where one in four people are foreign-born. But the Trump administration lawsuit has energized many in a party that has been rendered nearly irrelevant at the state level, where Democrats control every key office. 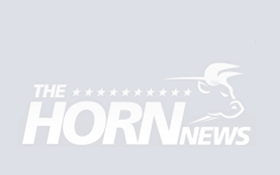 Raphael Sonenshein, executive director of the Pat Brown Institute for Public Affairs at California State University, Los Angeles, said it’s not surprising Republicans are galvanizing over illegal immigration. 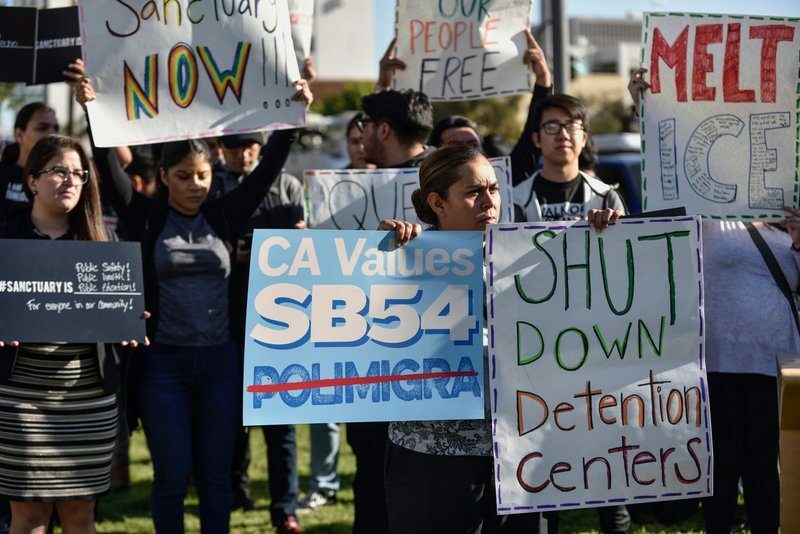 Under Democratic leadership, California has enacted a series of laws in recent years aimed at helping illegal immigrants using taxpayer dollars, including issuing driver’s licenses regardless of legal status and assisting with tuition at state universities. After Trump was elected, lawmakers passed the measure to limit police collaboration with federal immigration agents. Illegal immigrant advocates applauded the measure, known as SB54, as a way to encourage illegal immigrants to report crime to police without fearing deportation. Critics said it would make it too hard for federal agents to find and deport ex-convicts who are a danger to communities. Most of the local governments siding with the Trump administration are in Orange County, an area once considered a GOP stronghold but that voted for former Secretary of State Hillary Clinton in the 2016 presidential election. But it’s starting to spread. In many cases, meetings on the issue have drawn boisterous crowds. Anti-illegal immigration activists have traveled from city to city to attend, heightening tensions with those who want their communities to support illegal immigrants.